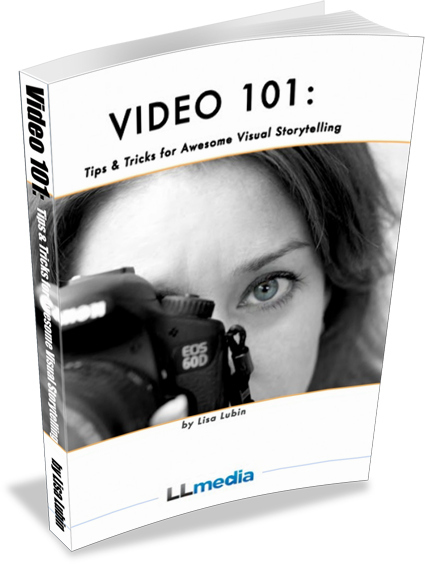 My friend and former television colleague Lisa Lubin recently released a fantastic e-book for video newbies, Video 101: Tips and Tricks for Awesome Storytelling (2011). Lisa is a three-time Emmy® Award winning television writer/producer/editor/video consultant with more than fifteen years of experience. For nearly ten years, Lisa produced an award-winning weekly lifestyles, travel, and entertainment magazine show on ABC Chicago. Lisa has recently launched LLmedia Video Consulting and is now using her expertise to help others improve their video for the web & their business. Question:You and I both have been in the production business a long time. What initially drew you into the news/video production world? I have been in Broadcasting, TV, and video for, ahem, nearly 2 decades! Wha! ?I always loved photography and the technical aspect of how things worked...so I went to Journalism school and while there found my love production - shooting, editing, writing for television; how a team behind the scenes bands together to create a live newscast. I loved the adrenaline rush. I loved being able to do something well and do it fast! Question: I read in your bio that you interned at the David Letterman Show. (I never knew that!) How did you get that job? I grew up in New Jersey, but went to the University of South Carolina. Since I had somewhere to stay in NYC (with grandma! ), I only applied for interships in Manhattan. I didn't have any 'real' connections, but had a decent resume since I was already doing some TV production in college. I applied to nearly every station and channel I could (MTV, VH-1, local affiliates of NBC, ABC, CBS, FOX). Luckily, I landed about three interviews. I scheduled them all for the same day and excitedly flew up to NYC. In the end, I was offered an internship at WCBS-TV. Sadly, I was NOT offered one at Letterman, which was my first choice. BUT during the summer while I interned at WCBS, the Letterman folks called me and offered me an internship in the fall! I was super excited, to say the least, and jumped at the chance to take a semester off of school and intern at Late Night with David Letterman (the name of the show on NBC). Question: Who's the most interesting or famous person you ever interviewed? This is a hard one. I have interviewed hundreds of people. Perhaps I should have made a list a long time ago, but I never did...and my memory fails me on much of this. I will have to break it up into categories. I won an Emmy-award for a show I produced on Latino Gangs. It was very hard hearing the stories of parents who'd lost their children to gang violence.In the same vein, I used to produce a show on Chicago's Children's Memorial Hospital each year. It's incredible what some of the kids have to go through. But my favorite interviews were usually interesting Chicagoans and entrepreneurs creating new business and doing interesting things with their lives. I loved learning about new things and new people every day. It always opened my eyes up to something new and constantly inspired me to do more. I like to think part of that led me to do what I am doing today in starting my own business. Question: For someone who is brand new to video production or documentary filmmaking, what would you say is the number one, TOP thing they need to learn? There are so many little things in video production - so many technical aspects that can constantly be improved, but I would say overall, the most important thing is content: truly knowing what your story and focus is before you do anything else. What is the specific story you are trying to tell? Figure it out and stay focused. Too many people today get caught up in the production aspects or what camera is the 'best'. These are very important too, but without a good story or reason for the video in the first place...who cares! Question: What would you say is the biggest (most interesting) trend in video production right now? The biggest trend (besides the use of DSLRs) is just how ANYONE can shoot and edit video now at a very minimal cost. That is why video is so prolific on the web now. Nearly everyone owns some device that records video. And they are using them! But that doesn't mean they know what they are doing...even it it's a camera that costs more than a thousand dollars. It's still not going to shoot the video for you. You can have the best gear, but if you don't know how to make good video, it really doesn't matter. Question: Is it possible to make money with online video? Yes. Video attracts people. It engages viewers and customers in a way that text cannot. That is why YouTube is consistently one of the top sites on the internet. Question: What is the biggest mistake you see beginners in video production make? It's hard because I am picky and come from a professional television background, plus I taught TV production for 6 years in Chicago.Some major issues:Not using a tripodNot using a micTOO much camera movement!Not shooting interviews tighter (using a close-up shot). Lisa Lubin is a three-time Emmy® Award winning television writer/producer/editor/video consultant with more than fifteen years of experience. For nearly ten years, Lisa produced an award-winning weekly lifestyles, travel, and entertainment magazine show on ABC Chicago. Lisa has recently launched LLmedia Video Consulting and is now using her expertise to help others improve their video for the web & their business. 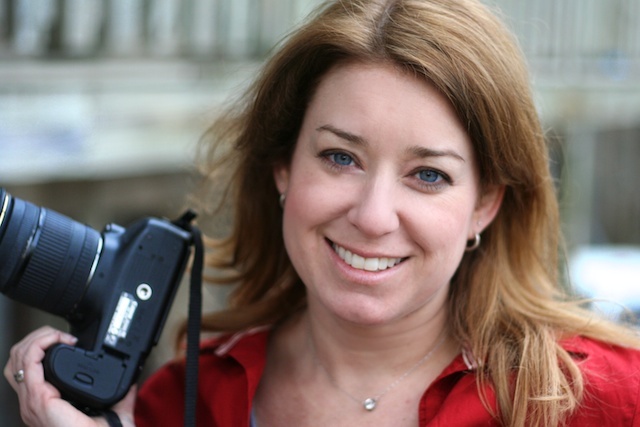 She is the author of Video 101: Tips and Tricks for Awesome Storytelling. Need Funding For Your Documentary? Don't Miss A Single Filmmaking Tip!